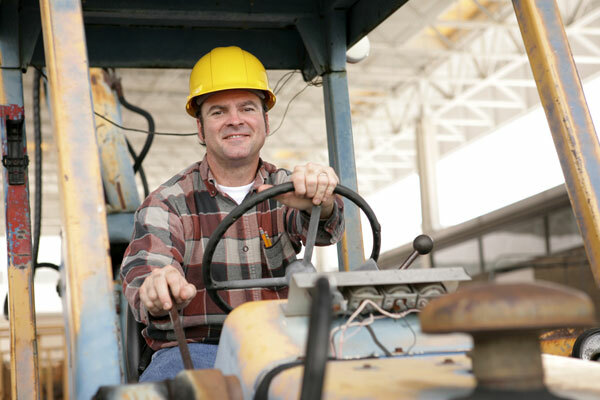 Why is OSHA forklift certification in Oregon important? 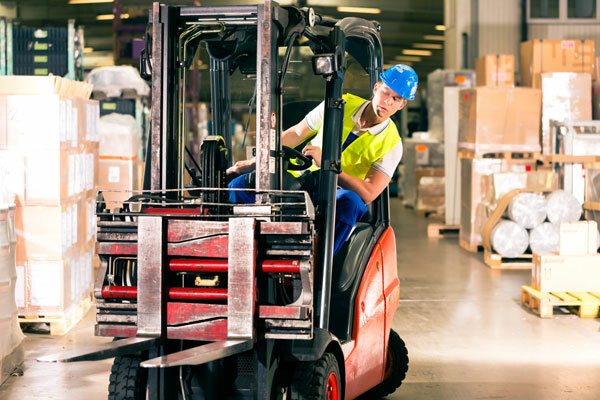 The state of Oregon requires all fork lift operators to receive a proper forklift training because it is the most effective way to reduce and prevent lift truck related accidents and injuries. And also, it is required by the law. Apart from that, having a forklift license in Oregon is extremely beneficial for you too. How? 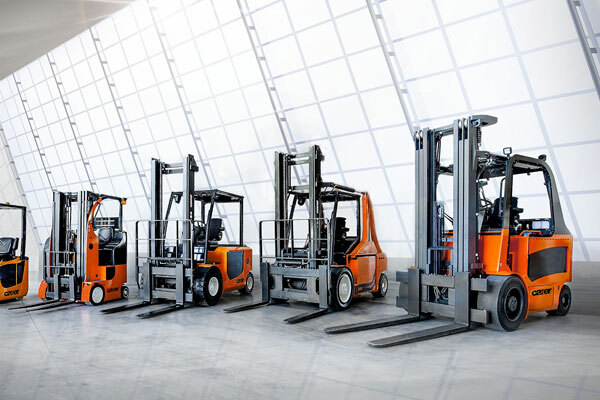 A valid forklift operator license will increase your chances to secure a stable job because OSHA requires all employers to comply with its standards and make sure to certify their employees who are responsible for operating a powered industrial truck. In the case of violation, an employer could not only be heavily fined but also could get shut down. So, in this article, we will be discussing the ins and outs of getting forklift training in Oregon and what is the exact process. We will also be looking into the benefits and drawbacks of getting forklift certified in this state and the average salary of a certified forklift operator. Although, it may not be the best state to be a powered lift truck driver if we are strictly speaking in terms of salary as the hourly pay is slightly lower than the national average. However, when you account for the living conditions, quality of life, and the fantastic culture, history, and nature within the state, it’s certainly worth it. As is the case with most other states, as well as having to obey the rules set out by the federal version of OSHA, Oregon also has a state run body called ‘Oregon OSHA‘. Oregon OSHA provides free help to businesses and individuals to educate them on the laws and requirements of fork lift operating. They have also created a small number of laws relating to workplace safety, for example, you must have a license before you can repair or change an LP tank. The requirements for obtaining a forklift certification in Oregon are no different than in any other state as Oregon OSHA has not passed any legislation in the realm of requirements to apply. 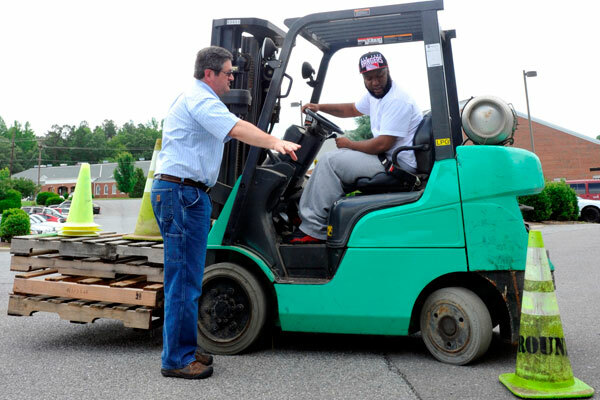 People wishing to become a forklift driver only have to meet the federally set requirements. The first of these requirement is that you have to be at least 18 years of age. Anybody who’s under that age has a high risk of not being mature enough to be able to operate a powered industrial truck. It is a violation of Federal law for anyone UNDER 18 years of age to operate a fork lift or for anyone OVER 18 years of age who is not properly trained and certified to do so. If somebody of this type does operate one, then the consequences could cost a lot of money, and even cause series bodily harm. The second requirement is that you can’t be on any type of medication which could alter your mental state. If you’re one of the thousands of Americans who rely on medication, fork lift operating is probably not the career for you. A forklift (although designed to be a useful tool) is a dangerous weapon that could end a life. Therefore anybody who is not completely stable mentally is a safety hazard when driving one. Due to the importance of mental stability, anybody with a history of drug, substance, or alcohol abuse is not permitted to learn to drive a lift truck. Could you imagine somebody who can’t even control their own body controlling something as dangerous as a fork lift? Essentially, you can’t be a nutjob. The third requirement is that you have to have a high school diploma. As forklift drivers have to pass a written exam, and will also have to be able to recognize signs and know a lot of technical terms, a decent (enough) education is vital. Also, check out what is the forklift operator’s job description. What are his duties & responsibilities? Similar to the requirements, the process of learning to operate a forklift in Oregon is no different than in any other state. The following steps are legally required by OSHA for anybody wishing to become a fork lift driver. Locate an appropriate training school. The factors to consider whether or not a particular forklift driving school is appropriate for you are… distance, cost, and whether they provide training for the type of lifttruck that you wish to operate. Finding such a school can be done with a simple Google search by entering “forklift school near me” or “forklift training school near me“. This can be very expensive, but as well as being a legal requirement, it is worth every penny. The first part of the school is to sit through a four-hour lecture. URGH! I know it’s painful just thinking about it but it’s nowhere near as painful as hurting yourself when you get behind the wheel of a fork truck. During this lecture, you will learn about the laws and regulations that have been set down by OSHA, the basics of how to drive a fork lift and any additional information that your lecturer feels it is important for you to know. I hope you’ve paid attention to your four-hour lecture because now it’s time for a test. 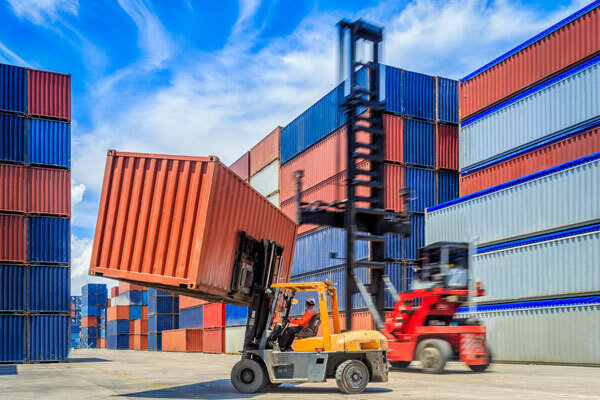 You will have to pass the forklift training test, a written examination, to prove that you’ve been paying attention and are therefore safe enough to operate a powered industrial truck. The pass rate is usually around 75% but can vary depending on the school. Once you’ve passed the written test, you will have to pass a practical test. This test will involve completing a set of tasks such as navigating in narrow spaces, breaking on time, and moving heavy loads from one point to another. All tasks must be completed to your examiner’s satisfaction. You have now passed your test, obtained your forklift operator license, and are eligible to drive a fork lift! If you are lucky enough to be employed by somebody who is willing to provide you with the training that you require, then ignore steps 1 and 2. Online training is also an option although it’s not as good as going to a forklifting school. To obtain your forklift license in Oregon, you will need to enroll in one of OSHA forklift training classes and complete your training. Here is a list of schools for forklift training in Oregon state where you can get your on-site forklift license. OSHA forklift certification locations in Oregon in the alphabetical order. As well as being a lovely state to live in, Oregon also happens to be a fantastic state for anybody who is or wishes to become a fork lift operator. Oregon is home to just under 4 million people, that’s half as many people as Virginia but twice as many as Utah. With an average of 40 people per square mile, Oregon is the perfect balance between crowded and deserted. The largest city in the sunset state is Portland. Also known as The City of Roses, Portland has the most opportunities for certified forklift operators. As a big city, it has a lot of people (583,776 to be exact), and with a lot of people, come a lot of forklift operator jobs. Obviously, it’s going to have factories, and warehouses which all require people to operate the lift trucks. So if you’re living in Oregon and you wish to work as a lift truck operator, your best bet is without a doubt to move to the city of Portland. Surprisingly, Portland is bigger, more densely populated, and has more opportunities for fork lift drivers than the state capital Salem- which has a population of a measly 154,637. According to the US department of Labor, agriculture is a great industry which employs plenty of people to operate powered industrial trucks. Due to massive amounts of flooding that happened thousands of years ago, the soil in Oregon is extremely fertile. Having a forklift certification in Oregon will enable you to take advantage of these employment opportunities and pursue a successful career in this field. When thinking of fork lift operators, many people assume that it’s a minimum wage job that you only get if you can’t find work anywhere else. However, this is not the case at all! 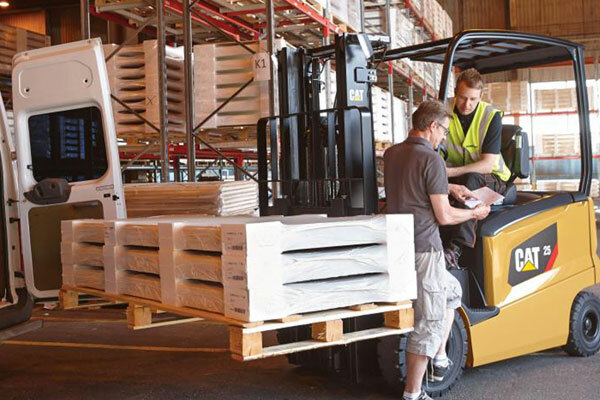 fork lift drivers are a well respected, and well-paid group of people who work incredibly hard to help thousands of companies to run smoothly. As you can tell from the previous section, the average lift truck operator in Oregon earns $1k less than they would do in New York, however, how much exactly do they make? In Oregon, the minimum wage is $9.75 per hour. I know what you’re thinking, that’s not very much at all! However, the average lift truck operator earns $16.00 per hour! That’s approximately 1.6x as much (which is almost twice as much!). Despite what some people might think, you’re much better off being a fork lift driver than a fast food worker or store assistant. Once you do the math, $16.00 an hour adds up to a total annual salary of $33,500. As mentioned in the introduction, this is slightly higher than the national average for fork lift drivers in the United States of America. According to the website salary.com based on data from July 31th 2017, the cities in Oregon which pay the most to fork lift operators are… Beaverton, Lake Oswego, and Portland. Forklifters in these places earn an average of $35,902 per year! Other cities which pay more than the state average of $33,500 are Eugene, Clackamas, Gresham, Hillsboro, Oregon City, and Salem. Now, let’s look at how much does a fork lift operator make in different cities of the Oregon state. The table below shows fork lift operator’s annual base salary for 14 major cities in the Oregon region. Now: Did you know, a fork lift operator in New Jersey gets paid at $16.50/hour on average? Well, they do and if you are looking to get forklift certification in NJ, then you must check our guide to see how to get your forklift license. Before we can talk about the benefits of having a forklift license in Oregon state, we need to understand the benefits of having a forklift operator certification in the USA. Some employers are super nice, and will be willing to provide forklift operator training to their new employees who are going to be operating lifttrucks. Having a forklift operator license will put you one step ahead to the other applicants with pretty much any employer. Who would you rather employ, somebody who you’ll need to spend time and money on before they can start working, or somebody who can get stuck in on day one? Having a valid license written down your forklift operator resume when you apply for a job will also show your employer that you are aware of how to drive one, this will give the impression that you are good at it. Being good at fork lift driving means that you are able to do your job more efficiently, which will make your employer more money. On top of that, it will prove that your independent as you’ve obtained a OSHA license out of your own pocket and your own time. A good way to describe the life of a forklifter in Oregon is to compare it to the life of a forklifter in New York. Despite the fact that the Yankee will earn $1k more a year, he will have to pay twice as much for his living costs. In Portland, consumer prices are 19% lower than in New York City. Rent is 48% lower. And groceries are 15% lower. Is it worth half the cost of living for $1k less? Unfortunately, your fork lift operator license will have to be renewed at some point. The first three renewal reasons on this list are not your fault, and cannot be helped. The second two are and can. Please note that the rules for forklift certification renewal are set out by the federal version of OSHA and are not controlled at all by Oregon OSHA or the Oregon state government! The first reason why one would have to renew their forklift license is that the license is three years old. Within three years, it’s highly likely that you will have forgotten some vital information which could be very dangerous if you drive a fork lift without refreshing your memory. If you’re employed, then your employer is legally required to either provide you with the required training (via a certified forklift trainer) or to send you off to fork lift training school – which they will have to pay for. The second reason is that you need to operate a new type of lifttruck. In my opinion, this law is kinda stupid because most powered industrial trucks operate the same way. However, my opinion is irrelevant as the law is the law! The third reason is that there are some major changes in your workplace environment. In such circumstances, it is likely that your employer with retrain all of his or her employees in order for them to be able to work in the new environment safely, without causing harm to themselves or others. The fifth reason is that you’ve been caught doing something dangerous. This could include any near misses, accidents, or even something which could potentially have caused an accident. The sixth and final reason is that you’ve failed an OSHA inspection for any reason whatsoever. OSHA is allowed to give you an inspection whenever they want – just like a really annoying scout leader on camp. If you still have any question or need more information about forklift certification in Oregon state, then you can get in touch with the Oregon Bureau of Labor and Industries or an OSHA Area Office in Oregon. Oregon is a beautiful state located on the west coast of America. Best known for it’s spectacular natural attractions. 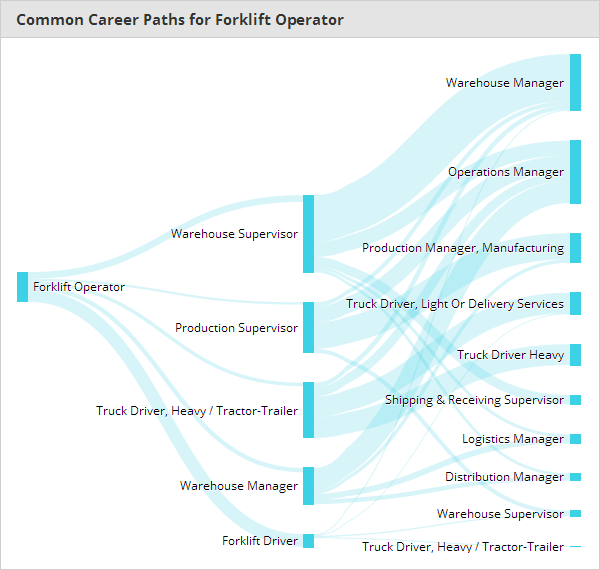 If you want to be a fork lift operator, Oregon is a pretty good state to live in. People who choose a career in this industry get to enjoy the lush, green, laid-back state and a salary which is slightly higher than the national average. It has plenty of employment opportunities, very high living standards, and after work, you can relax in any of its many natural wonders. 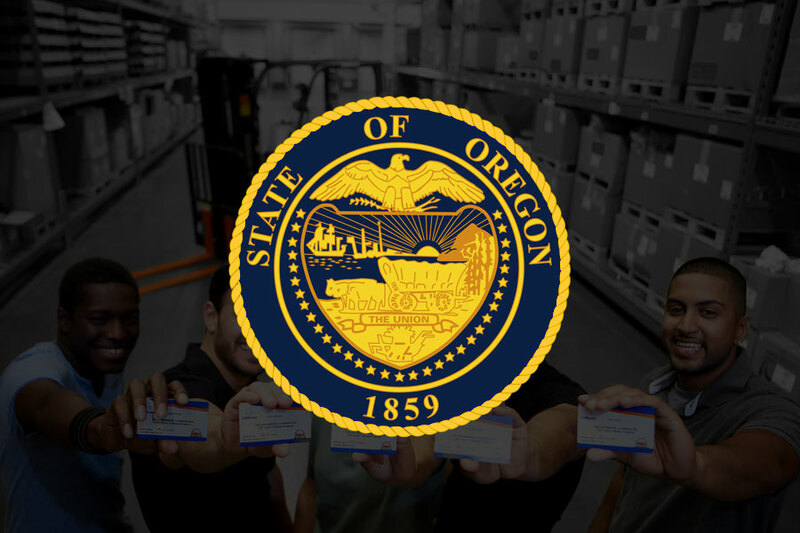 Now, I have laid out everything that you need to know about getting your forklift license in Oregon, but if you still have any questions, you can ask them in the comments section below, or you can also email me. Applying for forklift certification in Arizona, check our AZ guide!